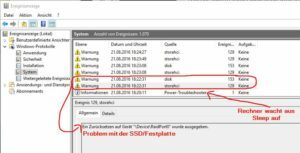 For some time I was plagued by a little, but rather annoying problem on my Windows 10 PC. Once the computer woke up from sleep mode, it freezes several times per minute for a few seconds. Explorer windows open slowly, websites won’t load and the sound drops out. The mouse was still responsive. I am not alone with this problem, because I have found several forum threads during my research, where users complaint about this problem. However, I found the solution for this problem, but only after a very long search. In almost all forums it was suggested to upgrade the drivers of all hardware, update to a newer BIOS version and/or completely reinstall Windows. However, my drivers have all been updated and also for the BIOS there was no update. A new and clean Windows installation was not an option for me. For several days I am successfully upgraded to Windows 10. Contrary to the experience of some of my family members and friends, who got black screens or even a total failure while updating to Windows 10, my upgrade proceeded extreme smothly. And as much Windows 10 inspires me with it’s new features, there still remains a vexed issue. 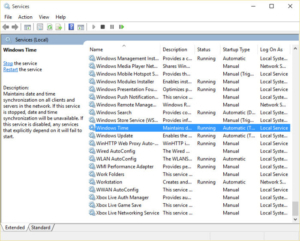 How to install unsigned drivers under Windows 10? (For Windows 8 and 8.1, I had already written a guide.) Since the release of Windows 10, a few steps in the click sequence have changed, so there is this follow-up article now, which describes how to install unsigned drivers on Windows 10. And here’s how you do!